This adapter allows your AED with an IR port to communicate with a personal computer. Other Notes: This adapter allows the AED to communicate with your PC. The most common way to download rescue data (or configure the AEDs software) with a modern AED is via "infrared". Many of you probably have PCs and laptops, but do not have an IrDA (Infrared Data) port on your computer to take advantage of this important feature. Now, the AED Superstore® offers this little adapter which will solve that problem quickly and easily! It complies with the USB 1.1 standard (works in USB 2.0 Ports at USB 1.1 speeds), and supports IrDA transfer speeds up to 4Mbps. NOTE: Consult the AED Superstore or the manufacturer of your AED to confirm the presence of an IrDA port if you are unsure. 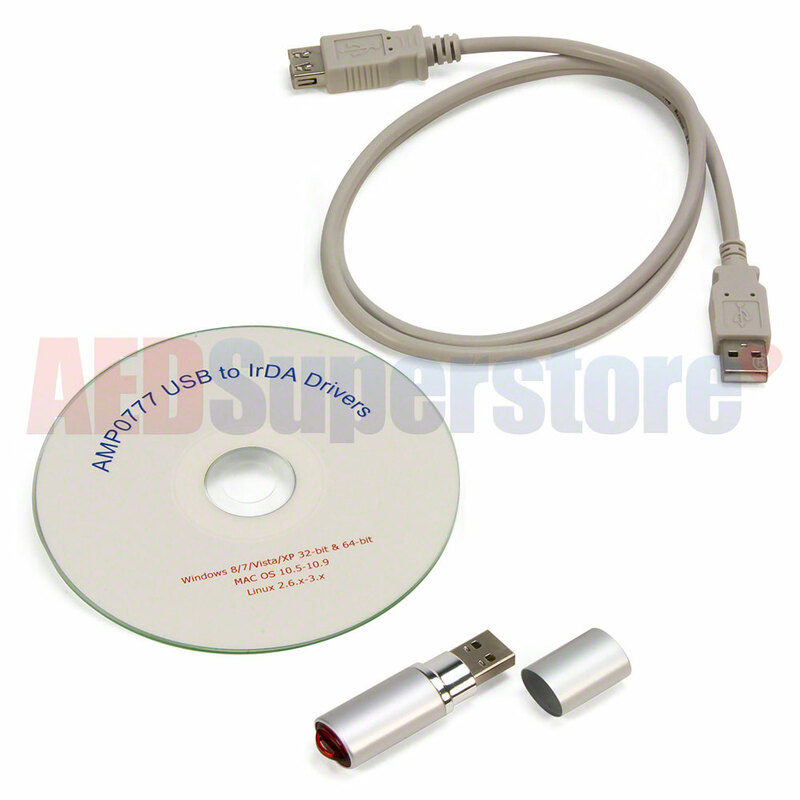 Package Includes: USB to IrDA Adapter, USB 2.0 Male A to Female A Extension Cable (3 ft), Driver on CD. Peripherals with IrDA ports, such as AEDs, PDAs, Printers, Cameras, etc.